Inequality is a hot topic in the media right now, and I’ve seen it come up again and again in social science courses, particularly those with a strong sociology or economics presence. You’ll notice a handful of inequality visualisations in the database – see Wealth Inequality (charts), Wealth Inequality in America (animated explainer video) and the World Inequality Database on Education (interactive). I try to avoid placing too many US-centric visualisations in the database, as this site is primarily for the use of UK teachers, but I think we can learn something from a lot of the visualisations that are out there, covering American, global and city-specific inequality indicators. This one focuses specifically on America, and shows the changes in income inequality over time. This one is a global view of gender inequality. 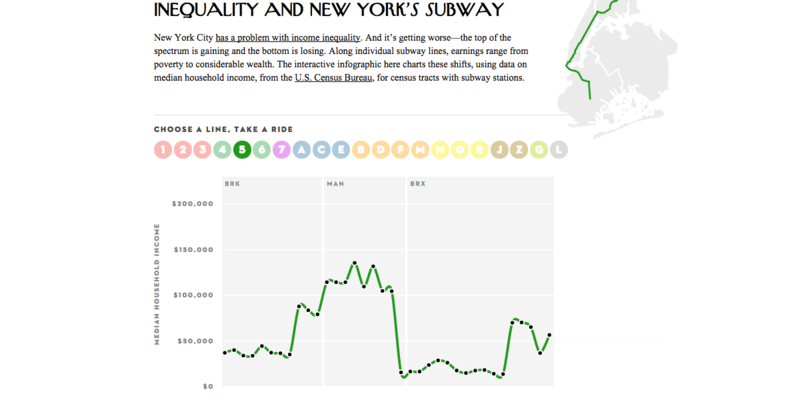 This one has an interesting angle – it looks at lines on the New York subway, and traces income inequality across the distance of travel. 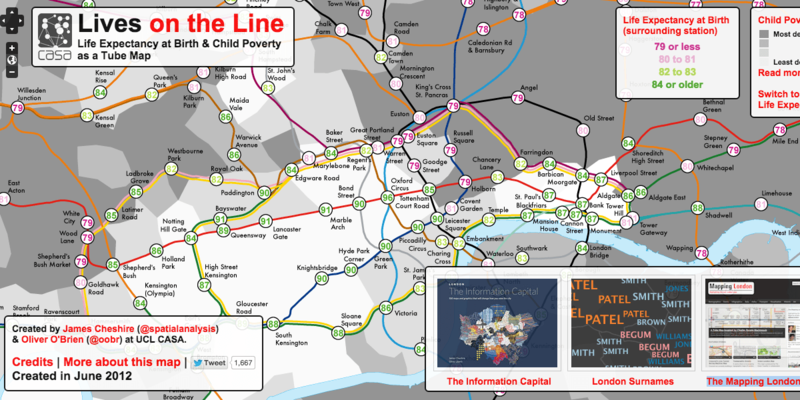 This one is similar to the above, in that it focuses on the lengths of subway lines – here, in London, but this time, we’re looking at child poverty and life expectancy. 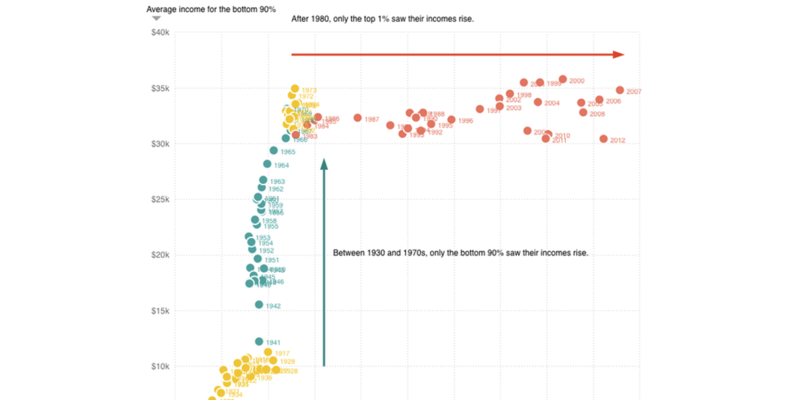 Have you seen any inequality data visualisations that I should add to this list? Let me know in the comments!